Oracle Java 8 is now stable. Below you'll find instructions on how to install it in Ubuntu / Linux Mint via a PPA repository. The PPA supports JDK8 for both 32bit and 64bit as well as ARM (ARM v6/v7 Hard Float ABI - there's no JDK 8 ARM Soft Float ABI archive available for download on Oracle's website). As a reminder, the WebUpd8 Oracle Java PPA doesn't include any Java binaries, just a script that automatically downloads and install Oracle Java 8. Everything is done automatically so you'll get updates through the update manager for JDK8 which includes JRE8 and the Java browser plugin. It's also important to note that the Oracle Java 8 installer is considered in alpha and is offered without any guarantees! Use it at your own risk. If you ISP or router blocks the ports used by the Oracle Java 8 download servers, the installation may fail. 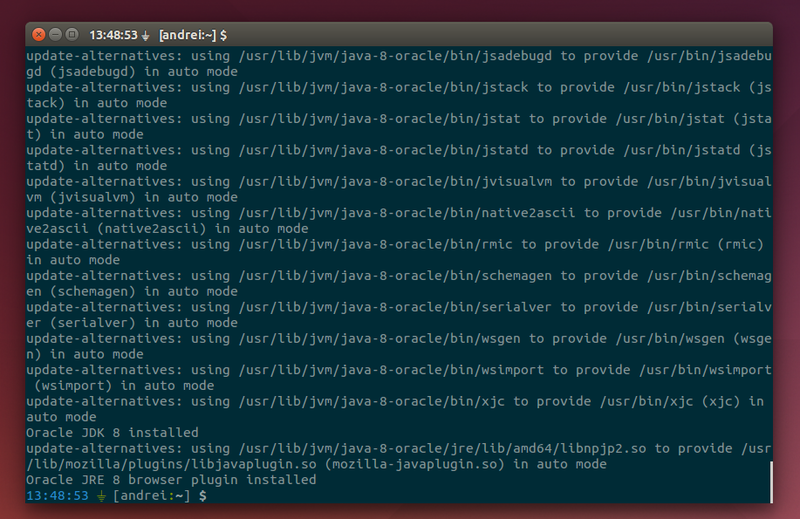 If you want to install Oracle Java 7 instead, see THIS post (PPA for all supported Ubuntu / Linux Mint versions). The installer provides Oracle Java 8 (which includes Java JDK, JRE and the Java browser plugin). 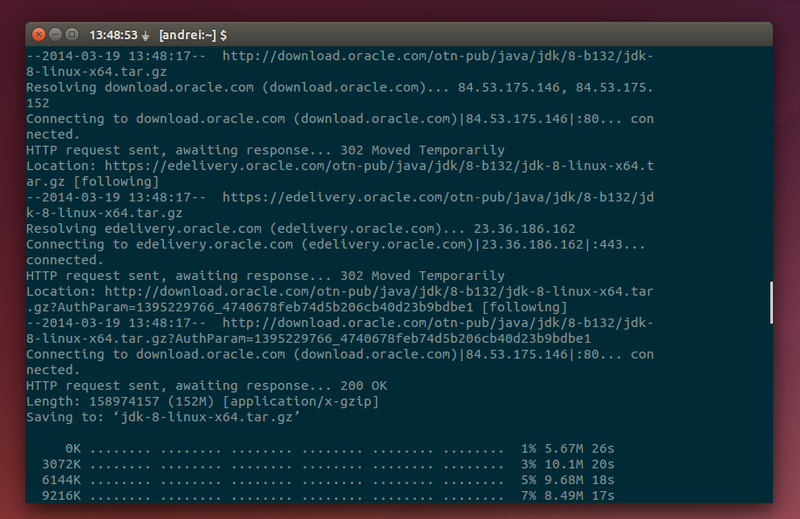 However, you can't only install Oracle JRE - the PPA only provides the full Oracle JDK8 package. In Ubuntu, recommended packages are automatically installed, so "oracle-java8-set-default" should be installed when installing "oracle-java8-installer". In Linux Mint on the other hand, recommended packages are not installed by default, so you must install this package manually if you want to set Oracle Java 8 as default. You can have both Java 8 and Java 9 installed in the same time, but only one can be set as default. To set which is default, simply install its "set-default" package: oracle-java8-set-default for Oracle Java 8, or oracle-java9-set-default for Oracle Java 9. Update: if you're looking for Oracle Java 11, it's available in a different PPA. See THIS article for instructions on installing it in Ubuntu or Debian. There is also a script to install any Oracle Java version in Ubuntu, Debian, Linux Mint or Fedora.